A Hunter College student leads a chant at a city-wide rally at the World Trade Center protesting City University of New York (CUNY) tuition increases. As manufacturing jobs continued their steep decline, the greatest areas of job growth in New York in the 1980s were in the highly-paid financial services industry and in low-paid service-sector jobs, heightening income inequality and poverty. Labor unions remained strong in New York, but were on the defensive, attempting to maintain workers’ wages and benefits. 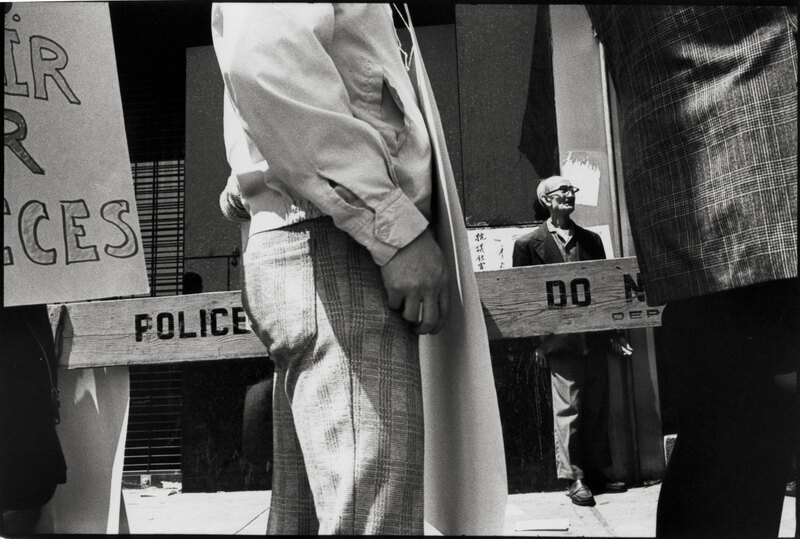 In 1989, 60,000 telephone workers at NYNEX went out on a four-month strike, succeeding in resisting cuts to their medical benefits and changes in their wage structure in one of the most important anti-concession struggles of the era. 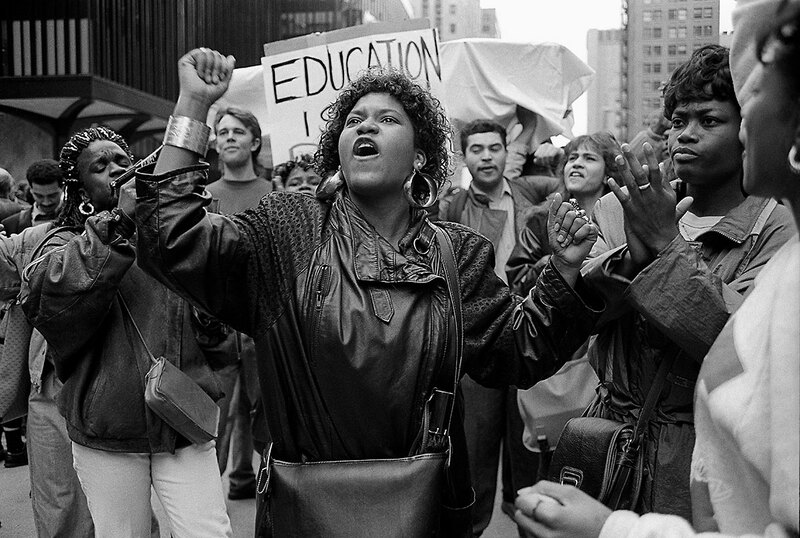 In 1991, CUNY students walked out on strike, shutting down 6 of the 21 campuses and winning a reduction in a planned $52 million state budget cut. New York gained more than 800,000 immigrants in the 1980s and 1.2 million immigrants in the 1990s, such that in 2000, 45 percent of the adult population was foreign-born. This was a diverse group of migrants; in the 1990s, the largest groups came from the Caribbean (more than one-third), the former Soviet Union, China, Central and South America, Southeast Asia, Mexico, Poland, Korea, the Philippines, and Japan. Many recent immigrants work as street vendors, domestic workers, and taxi drivers; in garment sweatshops and nonunion construction sites; or in the health care, restaurant, and retail industries. Labor activists have worked to assist these workers and in some cases, to incorporate them into the union movement. 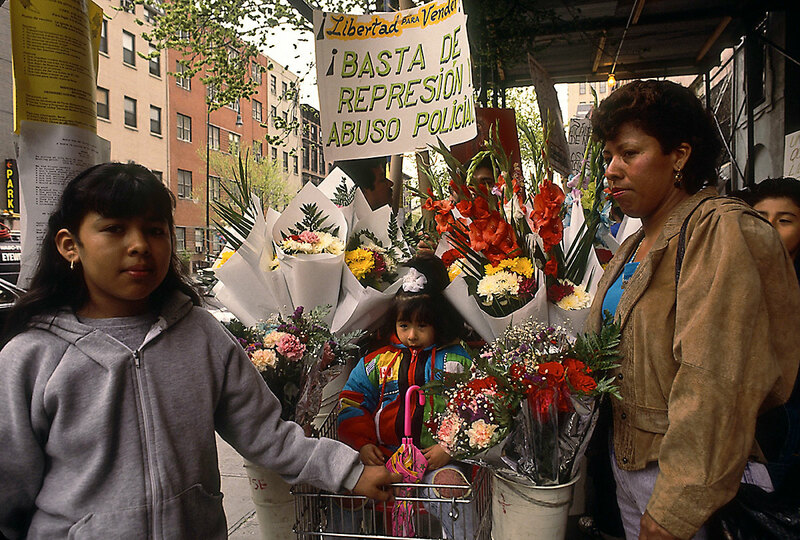 In 1992, the International Ladies' Garment Workers' Union (ILGWU) supported Mexican flower vendors’ protests for the right to organize and to obtain licenses to legally sell flowers, preventing the police from seizing their highly perishable wares on the street. Worker centers, such as the Chinese Staff and Workers’ Association (CSWA), built labor rights clinics to help workers redress wage theft and other labor law violations. 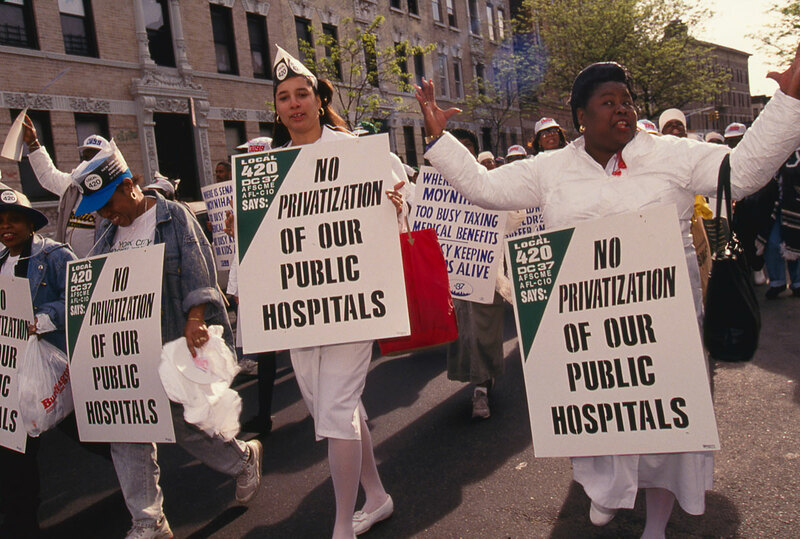 Health care workers fought against privatization of public hospitals and for living wages. 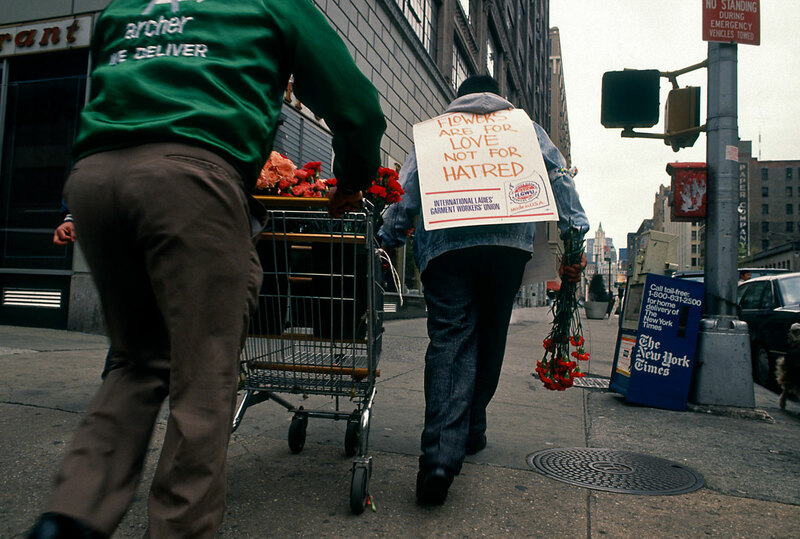 In the 1990s, under the leadership of Dennis Rivera, Local 1199, United Healthcare Workers East, which merged with SEIU in 1998, grew by organizing nursing-home and homecare workers in New York City and its suburbs, many of whom were immigrants. City University of New York (CUNY) students rally behind a banner proclaiming Education is Our Right at a city-wide rally in support of the student strike protesting government budget cuts and tuition increases at city colleges. 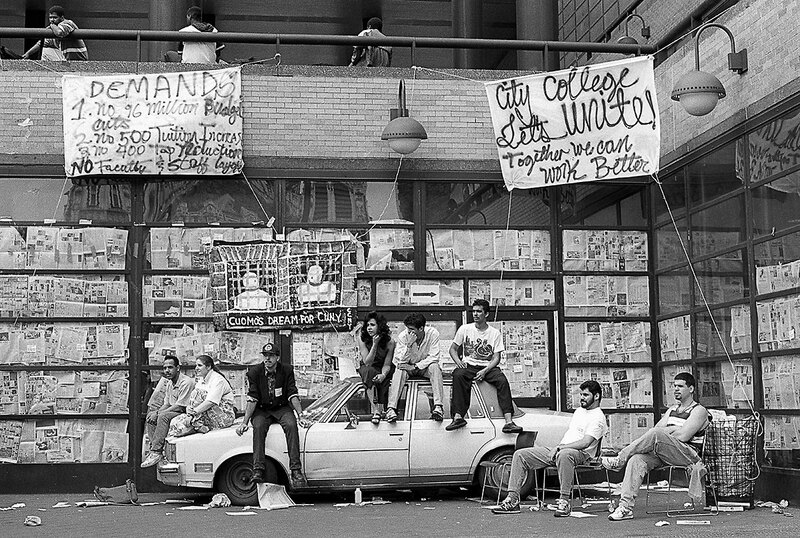 Students sit on a car parked outside an occupied building on the City College campus during the City University of New York (CUNY) student strike protesting proposed tuition increases and budget cuts. 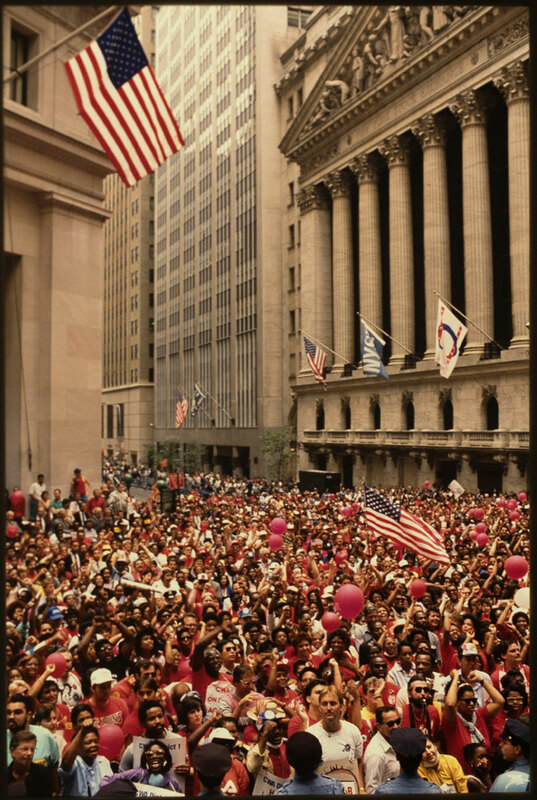 Communications workers of American on strike against NYNEX rally at the New York Stock Exchange. 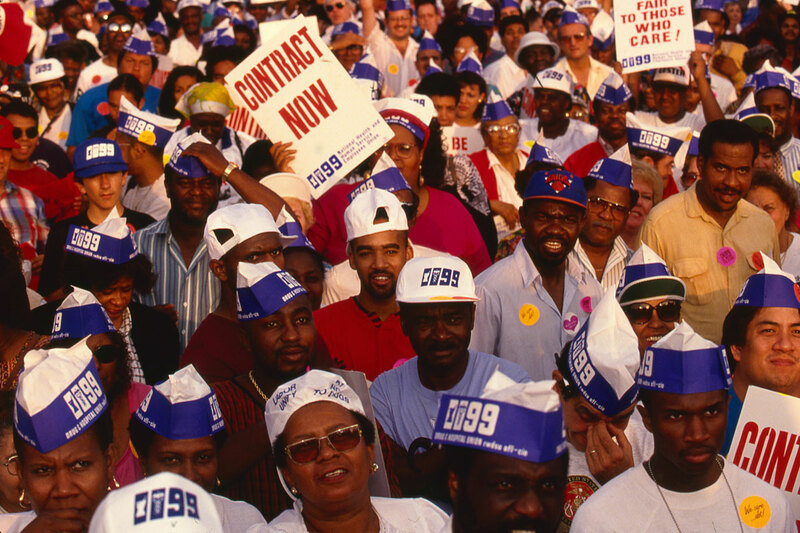 60,000 workers went on strike to preserve their health care benefits. 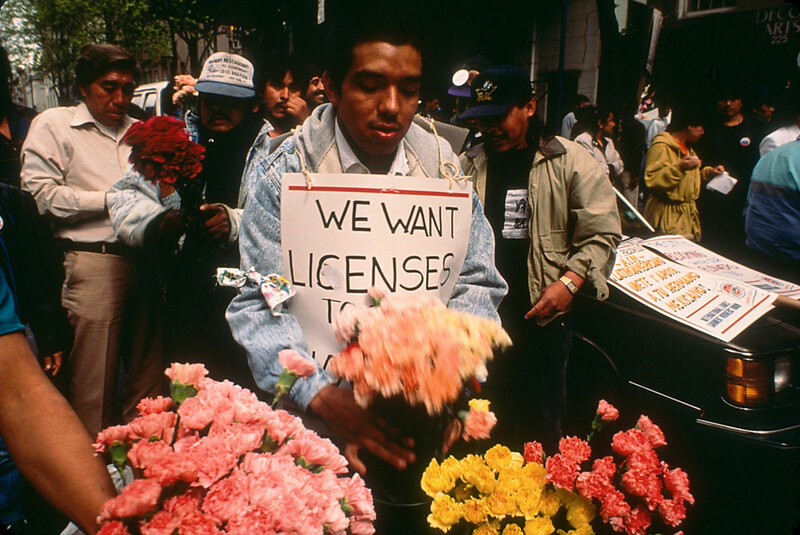 Street flower vendors, many of whom are Mexican immigrants, protest for the right to organize and to obtain licenses to legally sell flowers. 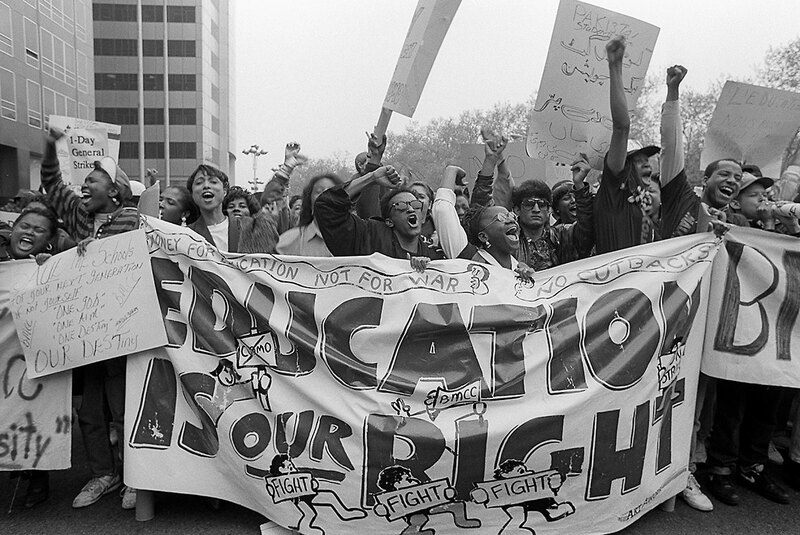 They were supported by a number of unions including the International Ladies' Garment Workers' Union (ILGWU). Health and Hospital workers march to protest budget cuts and privatization. 1199 Hospital workers demand new contract. 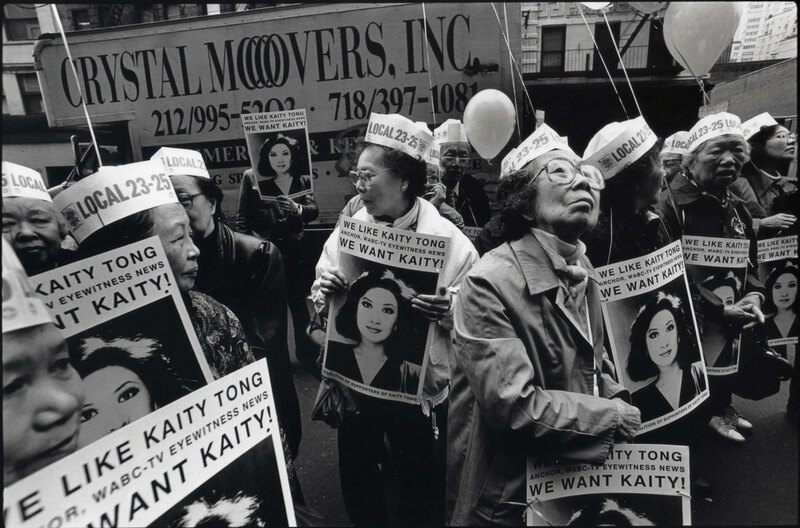 Garment union members rally in support of Kaity Tong, the first Chinese American TV news anchor, when she lost her contract at ABC. By 1991 she had worked 10 years as a news anchor and today she is the most senior Chinese American news anchor at WPIX TV, but in a reduced capacity. 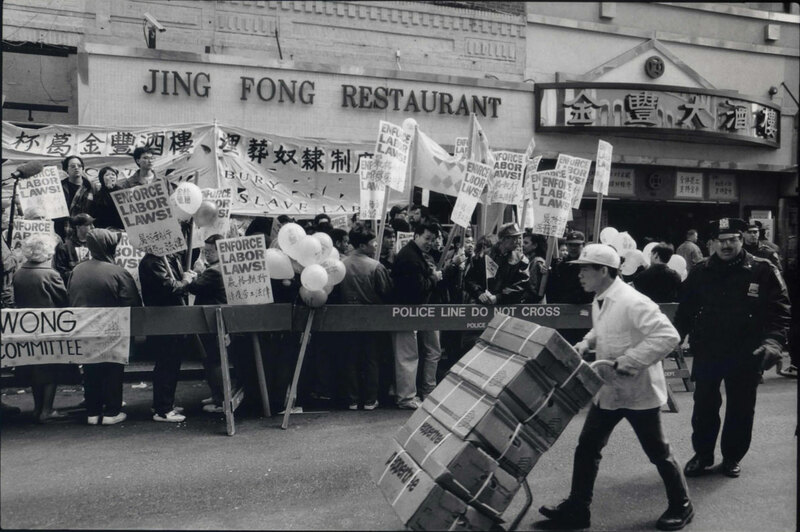 Picket line by fired workers and community supporters at Jing Fong Restaurant in Chinatown, the largest facility in the community. Workers claimed the management stole waiters’ tips. Eventually in 1995 the New York State Attorney General agreed and fined the management $1.13 million in back wages. Waiters strike at Silver Palace Restaurant in Chinatown.